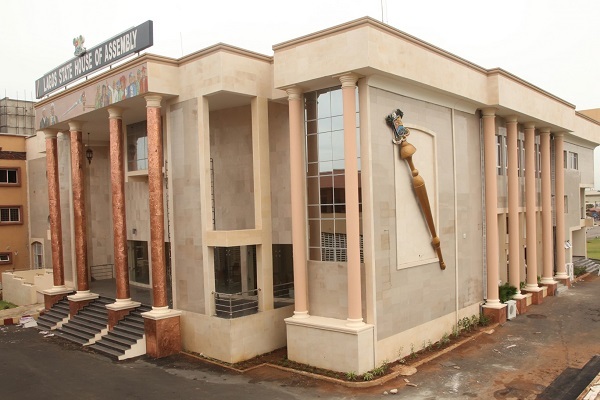 Lagos State House Assembly insisted on Wednesday that Governor Akinwunmi Ambode and some of his commissioner it invited to explain infractions on the state budget must appear before it.They said that it is only, where the infractions continues that the House would apply the constitutional provision of impeachment on the Governor.Majority Leader, Hon. Sanai Agunbiade stated this, while briefing House correspondents after an emergency parliamentary meeting by the lawmakers on Wednesday night.He said that nobody was witch-hunting the governor as it was being insinuated in some quarters, but that the infractions were serious issues the House can not overlook.Agunbiade said that the House decided to correct some wrong information and misconception being bandied around by the House resolutions on Ambode on Monday. As a fall out of the massive protest at the Lagos State House of Assembly on Wednesday by concerned Lagosians against the planned impeachment of Governor Akinwunmi by the Assembly, members went into an emergency parliamentary meeting immediately.Referring to the earlier protest, Agunbiade said that the House was not saying that Ambode should end his tenure. but that because of issues surrounding the 2019 budget he was summoned by the House.According to him, the major contention was that he had started spending from the 2019 budget which had not been laid before the House which is against constitutional provisions.”The budget is supposed to have been laid before the commencement of another fiscal year, which has always been the practice in the state, and unless it is laid you can not spend from it but the governor has gone ahead to make expenditure from the budget.”There are also some infractions the House observed about the 2018 budget, expenditures made outside the budget, which necessitated the invitation the House extended to him and some commissioners to come and explain things.”It is not witch-hunting as people believe, to make expenditure from the budget you must have laid it before the House, for now we don’t have the budget so you can’t spend. As legislators we must do things properly”, he said.Agunbiade also corrected some misconceptions which he said are being tied to the Ambode issue, that it was not true that the lawmakers are after Ambode because he refused to fund their campaign.”We want Lagos to flourish but we cannot compromise the regulations or constitutional provisions concerning appropriation.”If we wanted war we would not have written to him to come and explain, what we said was that where the infractions continue we would apply the constitutional provisions which is impeachment”.He assured that there was no crisis or problem, but that because majority of the people didn’t understand the workings of the legislature they misinterpreted the its actionsThe Assembly had adjourned sitting till Monday 4th February. but suddenly summoned members for an emergency meeting on Wednesday after the massive protest by pro-Ambode supporters appealing to the Assembly not to impeach the governor.The Assembly had accused Ambode of alleged gross misconduct and spending money from the 2019 budget that had not yet been laid or approved by the House and spending outside the 2018 budget.Speaker of the House, Rt. Hon. Mudashiru Obasa had told members, who wished that Ambode should be impeached to start collecting signatures in readiness for the impeachment. Earlier today, hundreds of supporters loyal to Ambode stormed the Assembly to protest the planned impeachment.The protesters marched into the Assembly and caused traffic gridlock.The protesters carried placards, saying that any move to impeach Governor Ambode would disrupt the forthcoming election, adding that the Governor should be allowed to complete his tenure.The protesters said that the Governor did not deserve the treatment he was getting from the party, saying that they should leave the governor alone.The State House of Assembly had moved to impeach Ambode over what they called gross misconduct and spending part of the 2019 budget that had not been presented to the Assembly for approval.They gave the governor one week to appear before the House to explain the infractions levelled against him.The protesters, under the aegis of the Lagos People’s Assembly (LPA), said that as a critical civil society stakeholder in the Lagos Project, they were gravely concerned about the unfolding political drama in the state which might degenerate to a logjam if not handled with the best of statesmanship kits.“We are fully conscious of the historical truism that under a constitutional democracy, the executive and legislative arms of government must seamlessly work in harmony to deliver the dividends of democracy for the people. Both arms are equal partners in the business of constitutional, democratic governance.“In recent time, the two tiers of government have been embroiled in a crisis of confidence conflicts. The House has commenced an impeachment process against the governor, Akinwunmi Ambode on the allegations that he committed an infraction of the constitution by not personally presenting the 2019 budget within constitutional stipulated period yet, the governor has started disbursing part of the budget. Ambode on the other hand claimed that the Assembly refused to reconvene the House during its last yuletide holiday,” said the Coordinator of the group, Declan Ihekaire.According to him, from investigation, both arms of government were worried that the budget delay would invariably affect the ability of the government to complete various infrastructural projects commenced by the administration littering the state.He said that the fear of both parties, which was well founded, was that opposition would make use of the uncompleted projects as campaign items to disparage the ruling party in the forthcoming general elections, adding that no matter whatever other hidden factors, this was the main bone of contention leading to the political feud for supremacy between the governor and the Assembly.The Majority Leader of the State Assembly, Hon. Sanai Agunbiade, who received the protest letter on behalf of the lawmakers, promised that the Assembly would read through the contest and take action that would be in the collective interest of the people of the state.